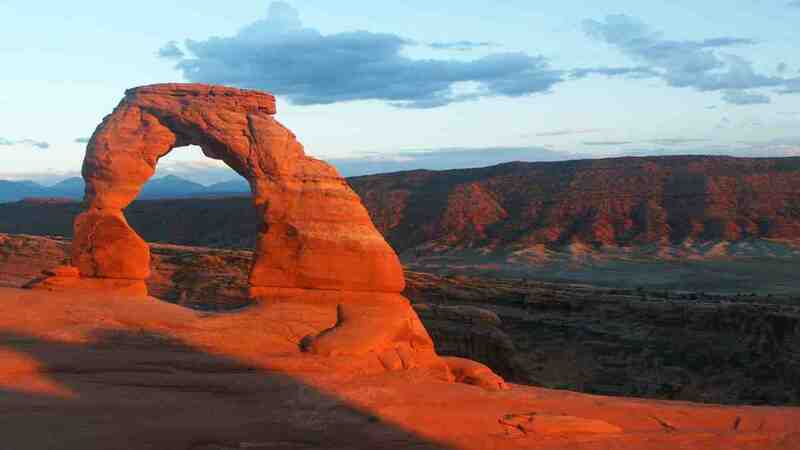 Located on the Colorado River in eastern Utah, Arches National Park is known for the largest collection of natural sandstone arches in the world, with over 2,000. 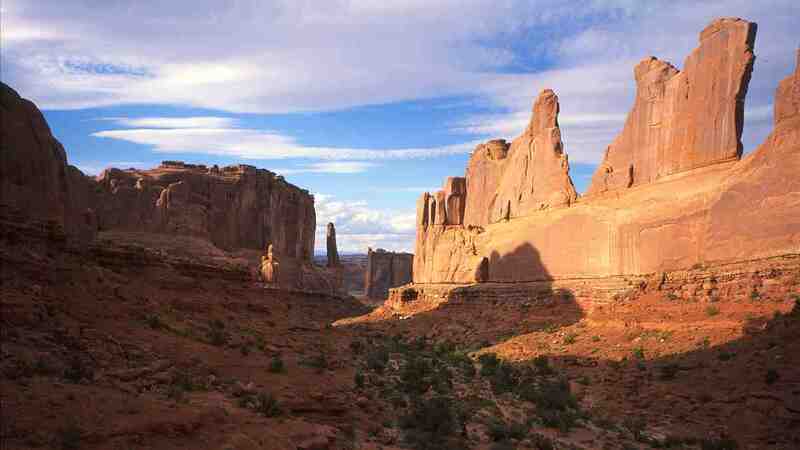 The landscape is perfect for hiking, offering giant balanced rocks, spires, pinnacles, and slickrock domes. The park’s highest elevation is 5,653 feet (1,723 m) making it a “high desert”. About 300 million years ago, an inland sea covered the area. The sea evaporated and re-formed more than 29 times, leaving behind salt beds thousands of feet thick.